Less 4 Movers makes any move easier, safer and more affordable. Less 4 Movers is a licensed, bonded and insured company, providing Southern California with quality services at fair prices for families and businesses. 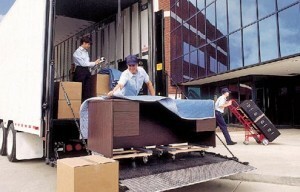 We supply the moving professionals, truck and all the essential tools and moving equipment to make your move seamless. Our movers work quickly and carefully to relocate you into your new home. for an office or commercial mover. We guarantee the lowest prices. Less 4 Movers can move your individual office, small business, warehouse or larger company smoothly, safely and efficiently. Our highly trained staff is skilled at office moves. We also provide cubicle disassembly, floor planning and reassembly. Call Less 4 Movers and take the hassle and high cost out of your office or commercial move.